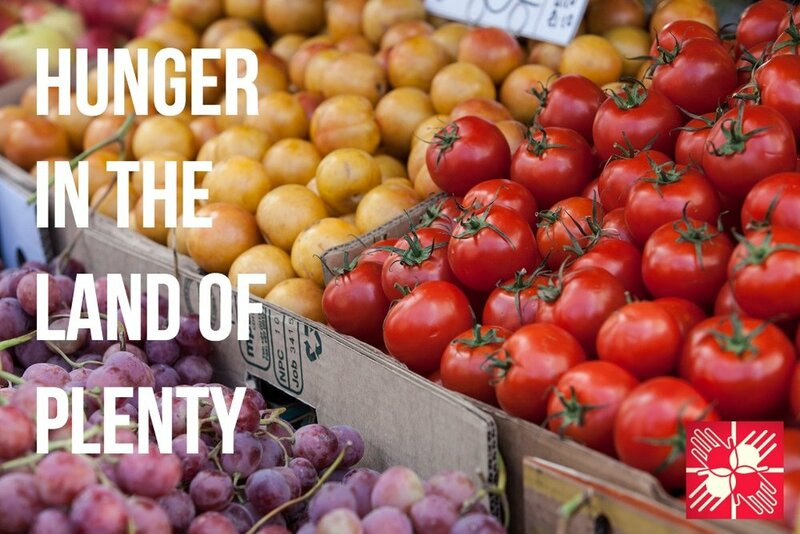 One-sixth of Americans don't have enough food to eat. According to Feeding America’s Hunger in America 2014 report, 1 in 7.5 people, or an estimated 755,400 people in metro Atlanta and north Georgia turn to food pantries and meal service programs to feed themselves and their families each year. This includes more than 164,000 children and more than 64,000 seniors. The causes of hunger in the land of plenty can be summed up in one word: access. In a nation of unprecedented abundance, there is no actual shortage of food and nutrition assistance programs, both charitable and governmental. Rather, it is simple access to nutrition that is a growing problem fueled by increasing pressures throughout the economic system. These pressures create both socio-economic and physical barriers to access to food. The effects of chronic poverty amplify educational and physical obstacles to nutrition. These hurdles can be as simple as limited transportation to grocers and markets and as complex as lack of knowledge of how to negotiate food assistance programs and resources. At Emmaus House, we focus our efforts at the local level to provide solutions and relief to both types of access obstacles. Emmaus House, located in Peoplestown at 1017 Hank Aaron Drive SW, serves the residents of the Peoplestown neighborhood in downtown Atlanta through programs that help residents attain higher levels of economic security, education, and personal development, as well as programs that alleviate hunger. Addressing the immediate issue of hunger, Emmaus House issues referrals to area agencies that run food pantries, and even operates its own food pantry on Friday mornings for residents in the 30315 zip code. In addition, it assists families and individuals in the application and renewal eligibility for Food Stamps (SNAP), Medicaid, and other government benefits. Emmaus House offers a community supper on the third Thursday of each month, and annually sponsors a Thanksgiving meal program. Thanksgiving, the nation's big meal, is only about a month away. It is our time to give thanks for the bounty that Americans have traditionally enjoyed. However, Atlanta is no exception to the rise of hunger across the nation. Many Atlantans don't know where their next meal will come from much less give thought to enjoying the traditional family Thanksgiving Feast. Emmaus House's efforts in alleviating hunger pains for well over four decades include sharing the bounty of our nation's traditional feast of thanks through a Thanksgiving at Home Program for our neighbors in Peoplestown. We provide 350 households with turkeys and 'fixings' so that they may have a Thanksgiving meal to prepare and enjoy at home. Your generosity and love are rewards in themselves. Help us at Emmaus House to put some holiday cheer in the lives of our fellow Atlantans who are less fortunate than we are. Thank you!